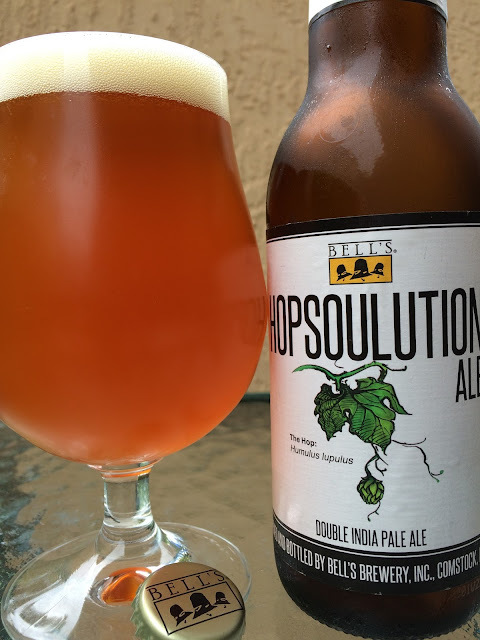 Today I'm checking out Hopsoulution Ale, A DIPA brewed by Bell's Brewery. 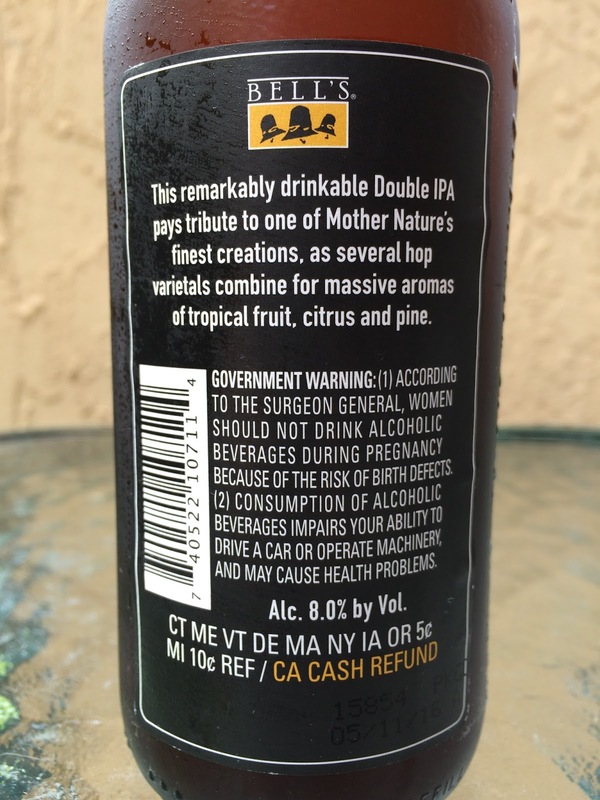 According to the story on the label, this beer was brewed in homage to Mother Nature and her hop creation, illustrated on a simple front label. 8.0% alcohol. Sweet orange aroma, very nice. Great fruity flavors come first, orange and lightly tropical. A hint of caramel sweetness also shows before a BLAMO of hops and bitterness take over. Citrus, resinous pine, spicy, light alcohol, yeah! Big body too. The finish is dry with lingering fruit, especially with some warmth. Check it out.